A disc that has degenerated or has been significantly injured can collapse. As the intervertebral disc collapses, the vertebrae collapse together narrowing the channel from which the nerve exits, also called the neural foramen. This compression of the neural foramen and nerve can at times result in no symptoms. However, it may also result in nerve dysfunction, which gives rise to numbness, pain, or even weakness. The patients that have such symptoms in the face of a collapsed disc can be at times effectively treated with a course of medications, physical therapy, and possibly injections. Patients that do not favorably respond to this then become candidates for surgical intervention. The surgical solutions for a collapsed disc include minimally-invasive foraminotomy, which is a surgical procedure to widen the channel for the nerves and is an outpatient procedure. More severe cases of collapsed discs, however, can require reconstruction of the spine including a fusion. The fusion can be performed through an anterior approach, a lateral approach, or through a minimally-invasive posterior approach. 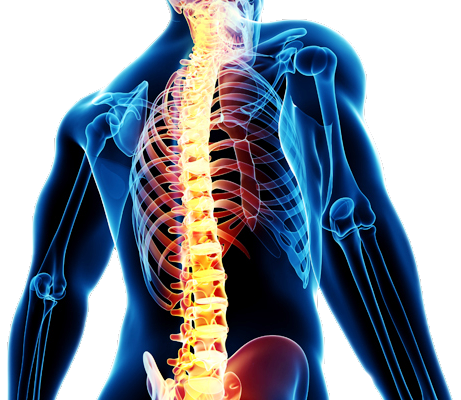 Dr. Ghosh has substantial experience in all of the aforementioned approaches to surgery of the spine and can tailor the solution to best fit the needs of the patient. Please see Dr. Ghosh’s videos addressing the ALIF, XLIF, and TLIF procedures.